Keeler Landscapes is dedicated to quality service and products. 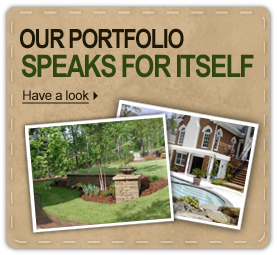 We strive to provide the best turn key landscape design and installation services possible. Being a smaller company helps us maintain great relationships with our past and present customers, ensuring each customer will receive personal attention to every detail — from planting trees and shrubs to installing outdoor living areas that will be enjoyed for years to come. Owners John and Tabitha Keeler established Keeler Landscapes in 1997. Since then, the company has grown in so many ways. We now provide services for Landscape Design, Commercial and Residential Landscapes for tree, shrubbery, and perennial or annual plantings, Hardscape Installation for outdoor kitchens, fireplaces, fire pits, patios, ponds, walkways, driveways, and drainage. Also, all of our employees are experienced and knowledgable of landscape installation and hardscape construction. Our landscape design division, Earth Graphics, has qualified designers and horticulturists to develop a landscape design meeting your needs. Keeler Landscapes can offer you the complete landscaping package. We’ll take your yard from a dust bowl to your own private paradise. Please feel free to come see or call us anytime!